If you are prevented from working for five or more days due to a work-related injury or occupational illness, you can make a claim for workers' compensation benefits. Your employer should notify the insurer, and the insurer will either issue a check or deny the claim. Benefits can include partial or total disability, temporary or permanent disability, scarring, vocational rehabilitation, permanent lost function, and reasonable medical costs. There are maximum and minimum weekly compensation rates as governed by the Massachusetts General Laws. The Boston workers' compensation lawyers at Pulgini & Norton can help you make a claim for the benefits to which you are entitled. The Commissioner of the Division of Unemployment Assistance sets maximum and minimum weekly compensation rates each year on October 1. The maximum weekly compensation rate is 100% of the average weekly wage in Massachusetts according to how it is calculated by the deputy director of the employment and training division. The minimum weekly compensation rate is 20% of the average weekly wage in Massachusetts according to how it is calculated by the deputy director of the employment and training division. Temporary total disability refers to job-related injuries that leave you unable to work for more than five days, but from which you may recover. The workdays can be full-time or part-time days. Workers who are temporarily disabled are eligible for weekly benefits for up to 156 weeks. The benefits may include reasonable medical expenses, reimbursement for medical mileage, treatment expenses, and payment for health care providers. If a worker is found temporarily but totally disabled, the weekly benefits available under MGL c. 152 § 34 are equal to 60% of the worker's average weekly wage. The worker's average weekly wage is his or her gross earnings before taxes and benefits are taken out. The amount of the earnings, including overtime and bonuses for 52 weeks prior to the accident date, are divided by 52 and divided by the number of weeks worked. This average weekly wage is multiplied by .60 to arrive at the benefits amount. If the benefits are permanent and total, the calculation is similar, but the multiplier is 66.67%. Adjustments or reimbursements are calculated from the year of the injury, starting on October 1. Disabilities that may qualify include paralysis, quadriplegia, and brain injuries. Construction and manufacturing are two fields of work in which permanent total disability occurs more frequently. Generally, workers' compensation benefits for permanent total disability last for the full duration of the disability. 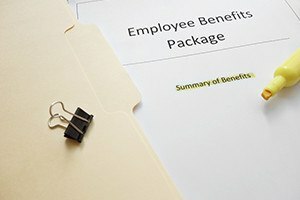 A cost of living adjustment (COLA) is available for certain Massachusetts workers' compensation recipients who have collected benefits for a specific amount of time. They can be paid as long as the increase does not cause the worker's SSA benefits to be additionally offset. Although the workers' compensation system was set up to make it easier for injured workers to receive benefits, valid claims are often denied. If you are concerned about the maximum and minimum weekly compensation rates, our Boston workers' compensation attorneys may be able to advise you on filing a claim with the Department of Industrial Accidents and represent you throughout the process. Our firm also assists people in Cambridge, Quincy, and Weymouth, among other Massachusetts cities. Contact Pulgini & Norton at 781-843-2200 or through our online form for a free consultation with a workplace accident lawyer.